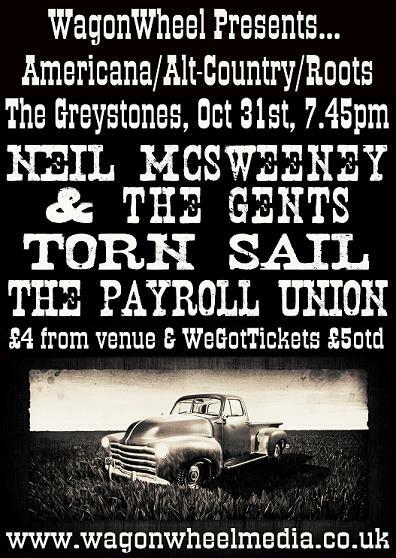 On Monday October 31st, WagonWheel Presents… brings a fantastic triple bill to The Greystones stage. Joining us for the evening will be Neil McSweeney & The Gents, Torn Sail and The Payroll Union. Another fine line up of the best in Americana and Alt-Country to mark 5 years of WagonWheel gigs in Sheffield. Advance tickets priced at £4 are available from WeGotTickets.com (http://www.wegottickets.com/event/123186) and the venue, entry on the night will be £5. Doors open 7.45pm for an 8pm start. 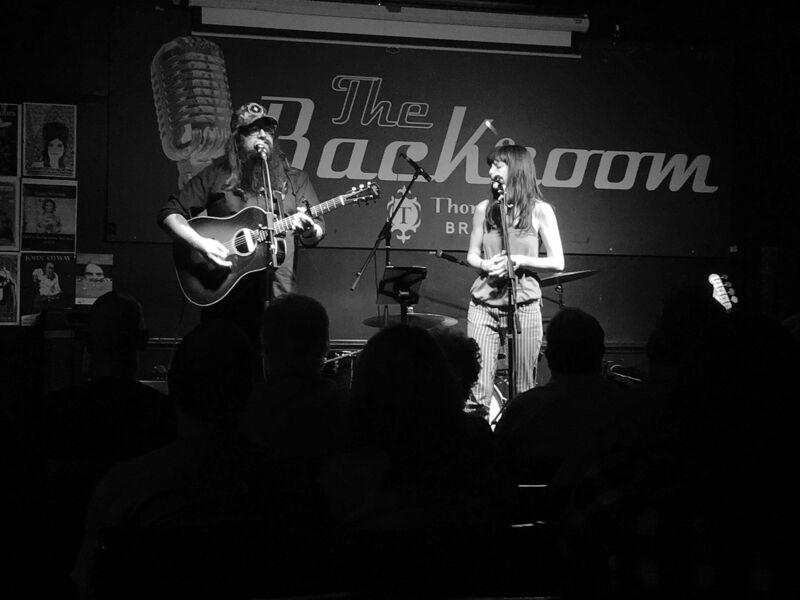 Neil McSweeney is a songwriter from Sheffield who performs his material on his own or sometimes with five-piece band The Gents as tonight will be. With two acclaimed albums already to his name, debut ‘Remember To Smile’ and 2009 follow up ‘Shoreline’, a third record is currently in the works with recent shows having featured some of those new tunes. Torn Sail is the new band fronted by Huw Costin, perhaps better known for his work with Earth The Californian Love Dream and collaborations with left-field disco artists Smith & Mudd. Costin has also worked with Brian Eno & Mark Lanegan. Torn Sail rose from the ashes of The Cold Light of Day, put together by Richard Warren AKA Echoboy in 2008. When Warren quit to go solo a year later, the band – Huw Costin – vocals & guitar, Lee Horsley – hammond & piano, John Thompson – bass, Jim Widdop – Pedal Steel, dobro, guitar, and Jeff Davenport – drums, locked themselves in the studio to record their debut album. Apart from the occasional rare live date they are still there. The first track completed – Birds- was released to critical acclaim on cult balearic label Claremont 56 in April 2011 with a Tiago remix. The vinyl sold out in seconds. A second 12” of remixes by Cos/Mes and Frankie Valentine is available now. Work on what is promising to be a beautiful, laconic, deep and meaningful album continues.